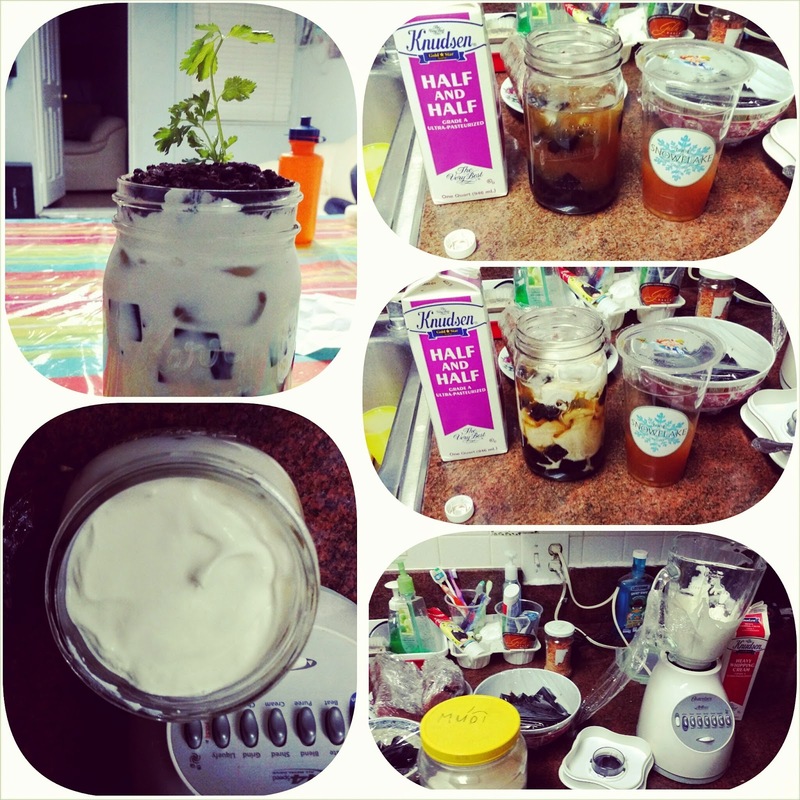 HOW TO MAKE POTTED GREEN TEA MILK TEA WITH SEA CREAM - EAT WITH HOP! 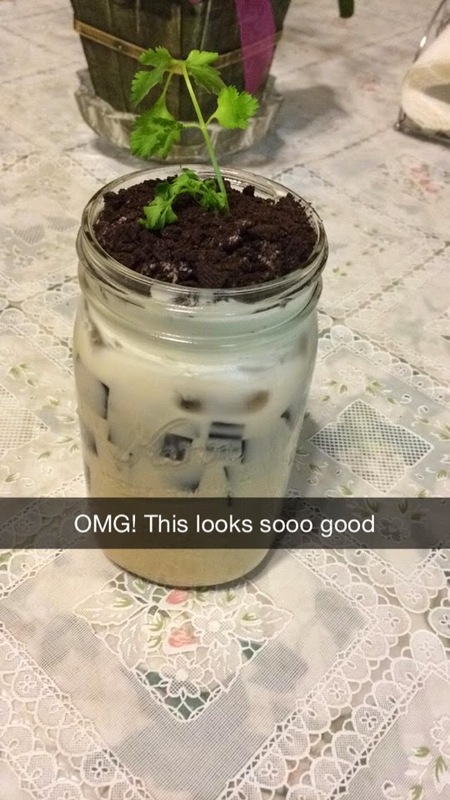 MMM THIS DOES LOOKS SOOOOOOOO GOOD AND TASTED EVEN BETTER (; ESPECIALLY WITH THE OREOS ON TOP! 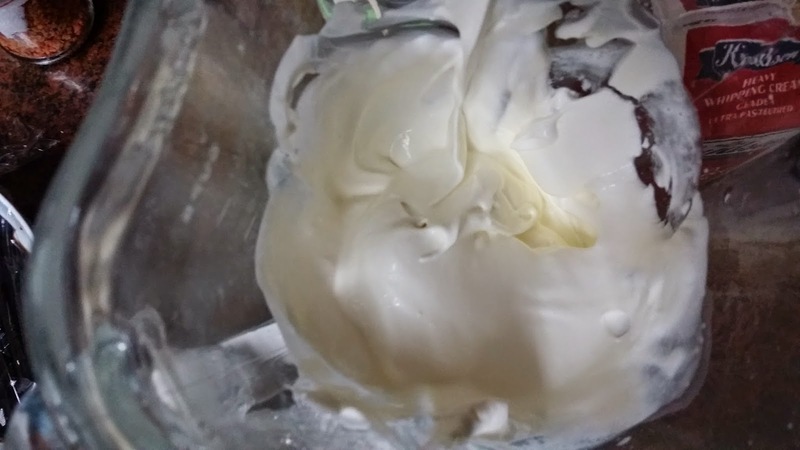 I've had many failed trials of making sea cream (whipping it too hot, too salty...etc) because I used to do it by hand. 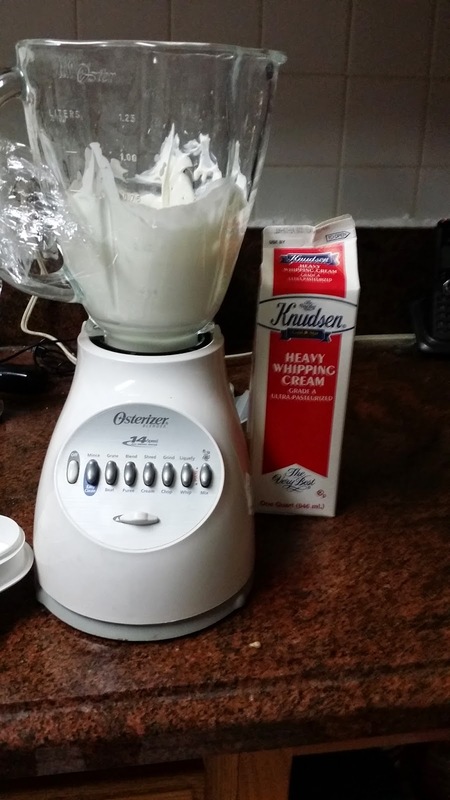 This time I did it by using a blender (works perfectly)! I found a recipe online last summer and decided to give it a try again. 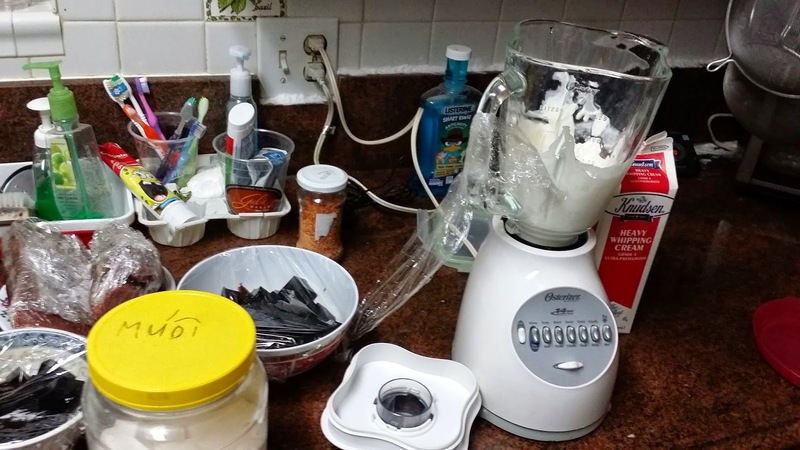 It was really hard to find the recipe online because most of the ones that I did find were based off of using the Lollicup brand sea cream powder (I aint gonna use no powder or buy Lollicup!). 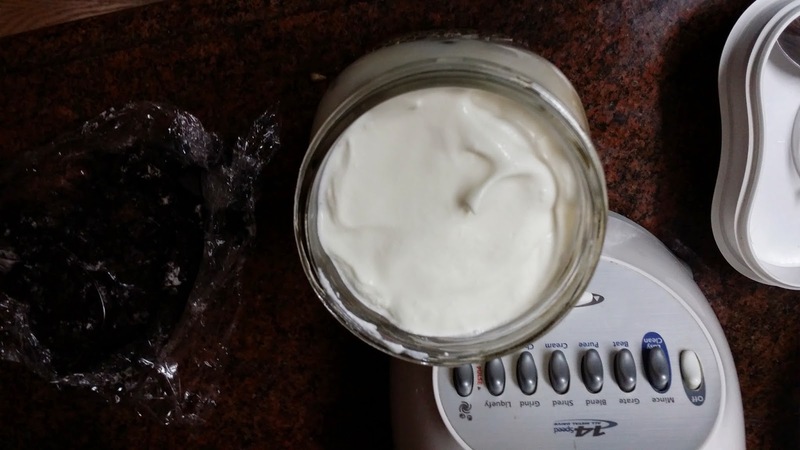 Fortunately, i found one site that did have the recipe using easy ingredients: whipping cream + sea salt. So, I'd like to share with you guys how I did it! I honestly do not know the measurements exactly (sorry guys) but hope you guys can find the right measurements to your own liking. By the way, I recommend not whipping it by hand (but you can with a whisk) because it will take forever! this is the tricky part! if it is too thick, don't worry! just add more heavy whipping cream to thin it out! I was too lazy yesterday night to actually brew the green tea so I just went over to THE SNOWFLAKE FACTORY (garden grove) to buy some green tea without ice and sugar. To make green tea milk tea is pretty simple (after you've brewed the tea or bought it)! All you have to do is add however much green tea you'd like and add half and half to 1/4 of that amount! 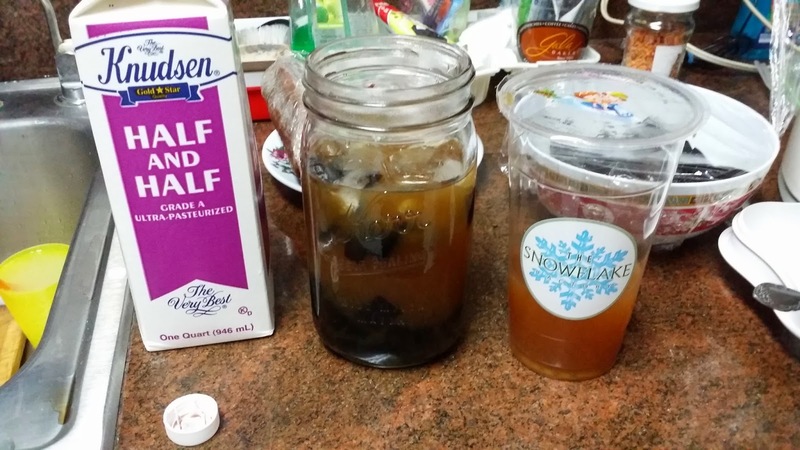 You can add more half and half depending if you want the taste to be milkier. I honestly hate sweet teas so I don't put any sugar. The half and half already is sweet so it adds the sweet taste to it as well. If you'd like it to be sweeter you can add sugar or sweet syrup or honey! 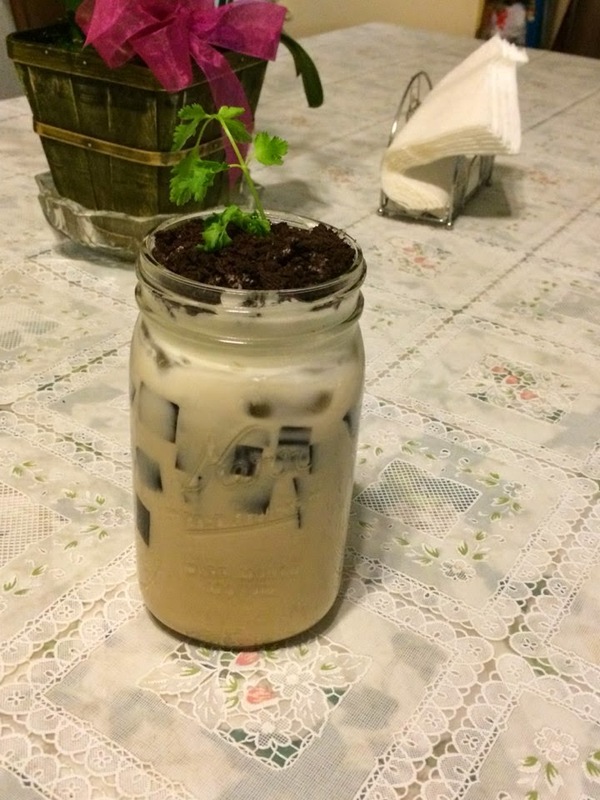 turn it into a potted milk tea! 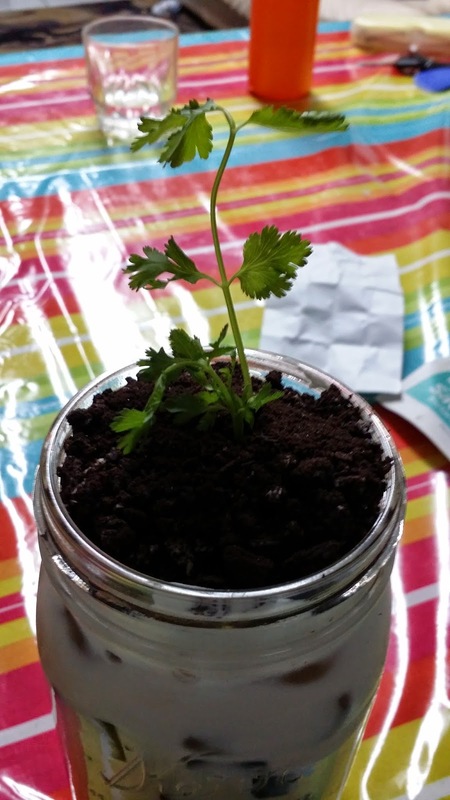 you can put in boba, aloe vera bits (i grow an aloe vera plant in my backyard! 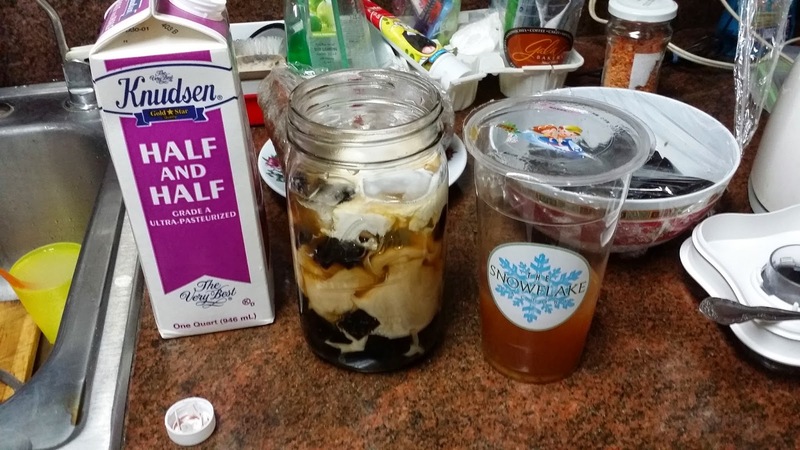 ), grass jelly, etc. 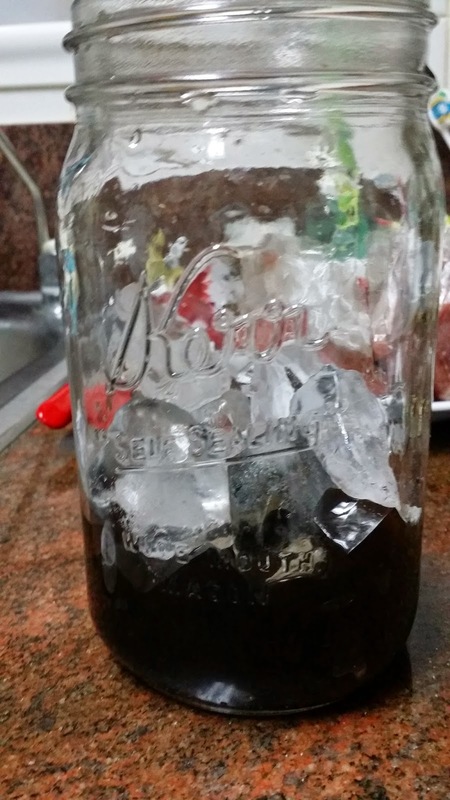 for mine, I used grass jelly from a can. I chopped it into teeny square blocks and dumped it in! add on the ice if you want! Voila! 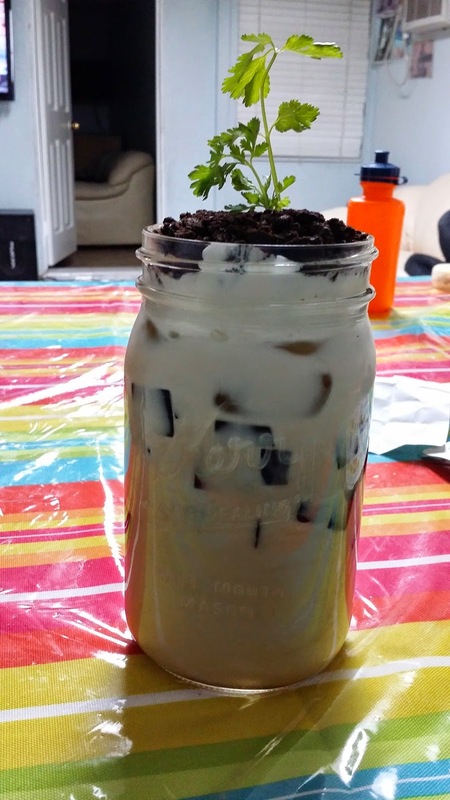 Make sure to take some photos to show off to your friends your creation and then sip away! Oh I'm definitely gonna try this!! 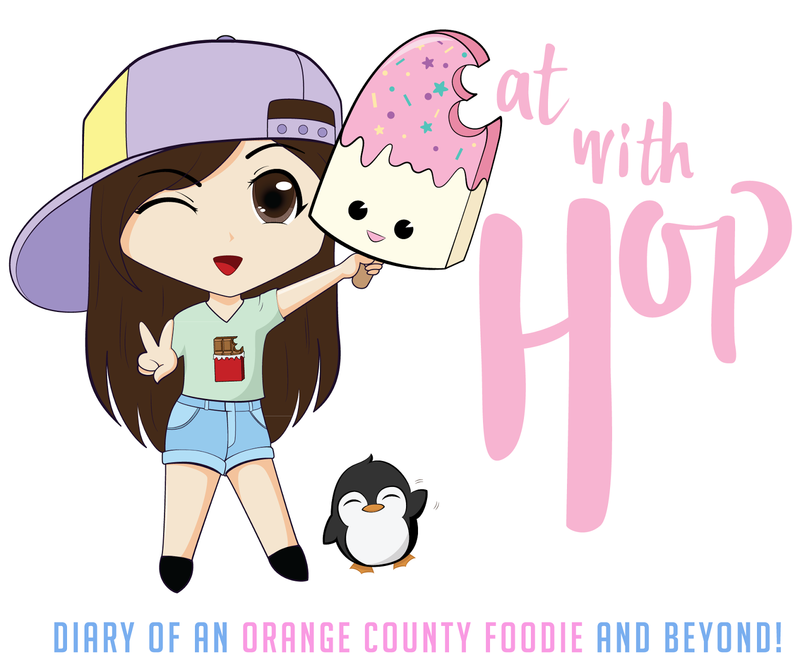 It sounds delicious ;)! !